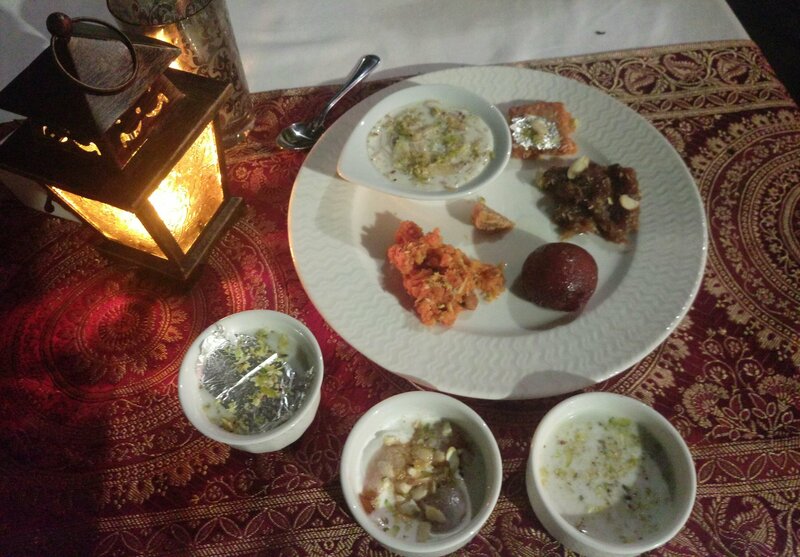 Last month we have seen the Delicacies from the kitchens of Awadh – hosted at Dilli32 in the first leg of Dine like Maharaja’s over Diwali at Leela Ambience Hotel East Delhi. Now November gets merrier with loads of delicacies from the Hyderabad city raising the chill before winters at Leela Hotel. 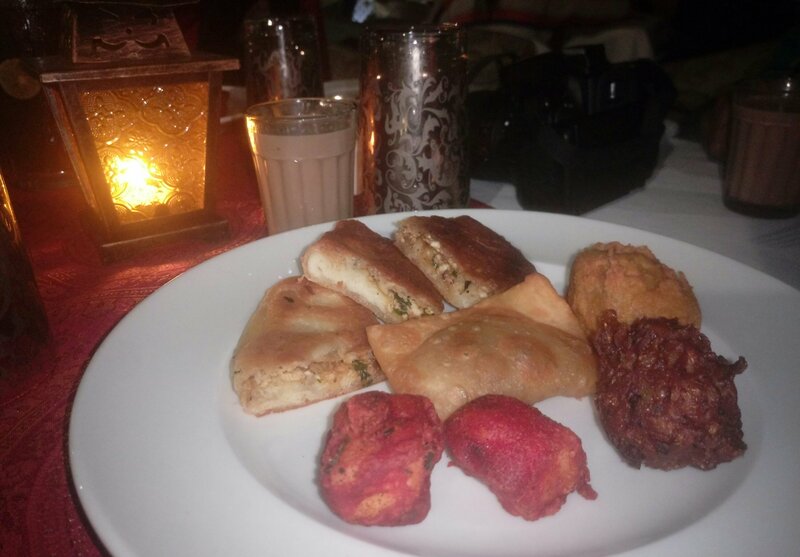 The best food is relished under the stars and some are the experience of leg 2 of “Dine Like a Maharajas – Hyderabad Food Festival at Leela hotel. Get in open with Keema- Kabab being rolled out right on the open air barbeque not only lits up the place with the flavor of the Hyderabadi food but also announces it’s winter and time to dine out in open. While most of us look at Hyderabadi food as food for non-vegetarians. This festival has no less options for Vegetarians either, while it’s definitely a treat for non-veg lovers. Being a Tea Lover, I preferred picking up chai in place of a cold beverage. And they had a detailed Tea counter too. 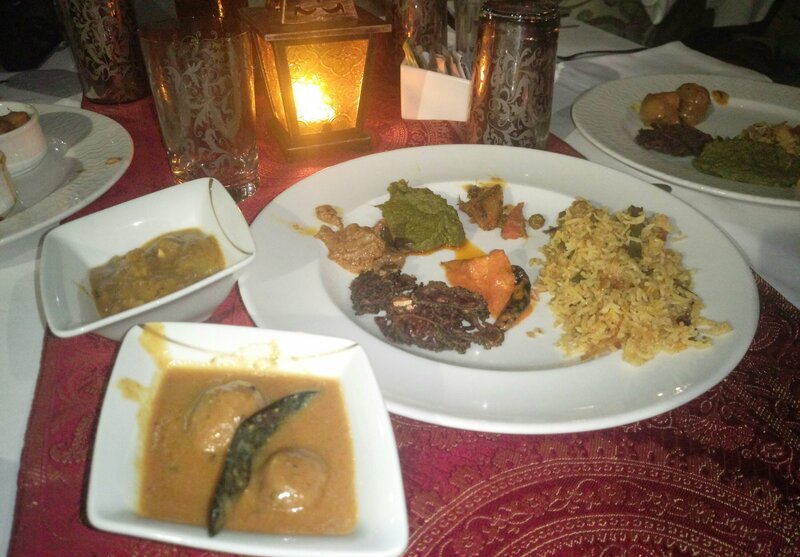 While the main course had an extensive range of veg and Non-veg dishes. Being vegetarian let me take you through my plate. And here goes the Vegetarian menu on my plate, in the Bowls it’s is Kaddu ka Dalcha and besan ke nimbus while on the plate Churan ke Karele, Nafeez Palak, Paneer Tamater ka kut, Bhagare baigan, Diwani Handi which is a kind of Hyderabadi mix veg. and what I loved the most was Besan K nimbu made in tamarind with a classic sweet and sour taste, also the Nafeez Palak a very palatable Palak dish that had minced Paneer, dry fruits and lots of cream to add amazing taste to this. A must try for vegetarians. 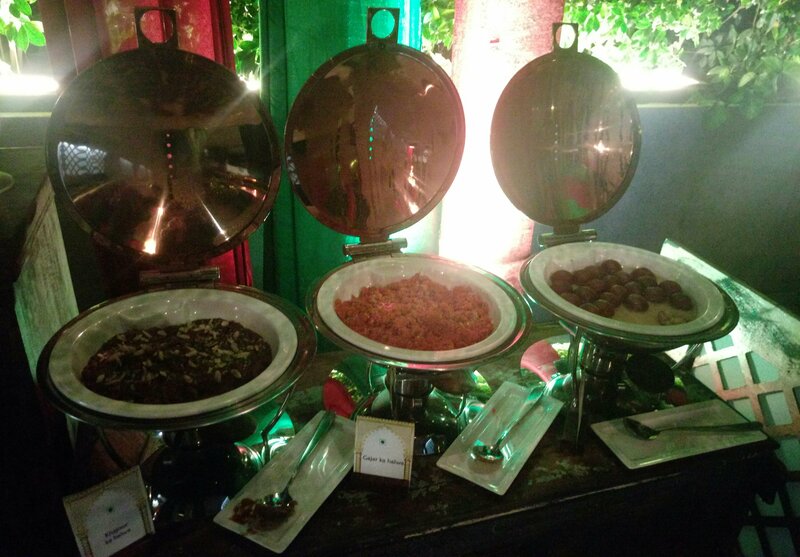 Moving on to the most irresistible part of the entire buffet was the desserts, and what’s so special about the food festival is Chef Ashwani Singh always keeps the customer in mind and curates the menu accordingly that there is enough and more options for everyone to pick and choose from. 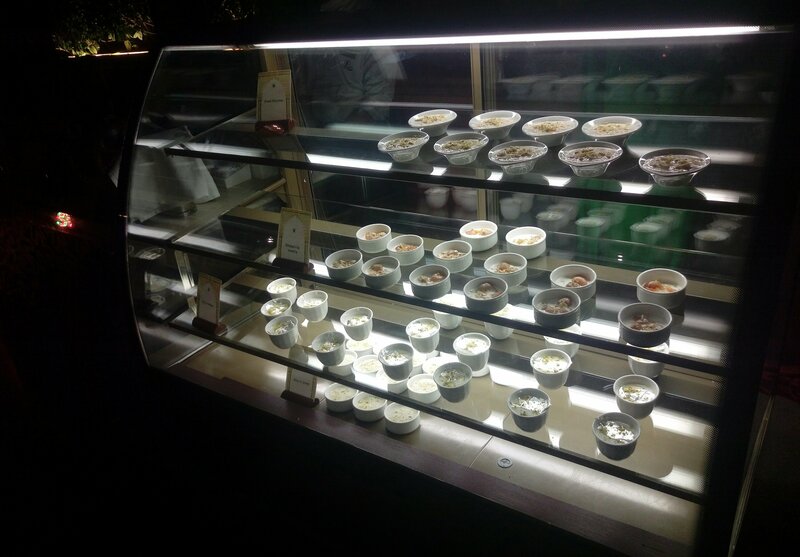 A delectable range of desserts that was simply breathtaking with a feeling that you have entered a Sweetshop. On my plate I tried having everything and trust me it’s a task to satisfy the sweets craving in you if you have the sweet tooth. A must try items are Dates ( Kajoor ) Kasam halwa and since it’s winters you can’t say no to Halwa. 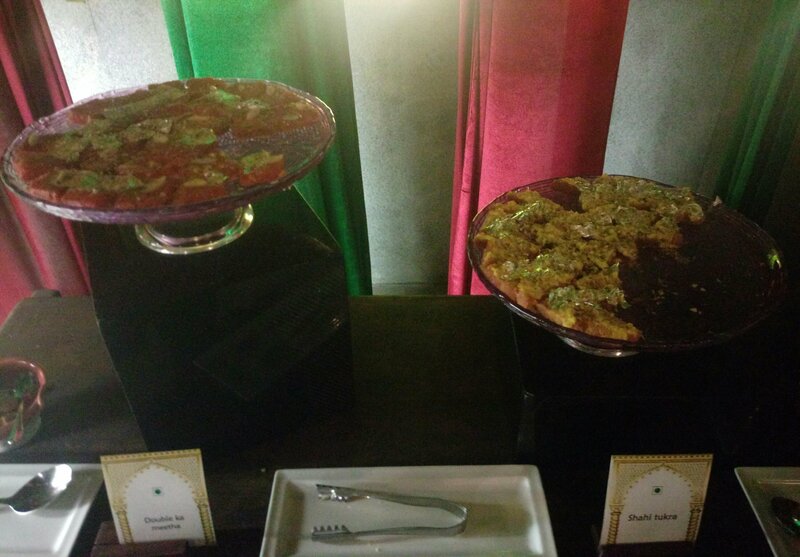 Khubani ka Meetha and Gir a firdaus. An ambiance similar to the royal darbars has been created for the event at Frangipani, the outdoor patio where the guests can treat themselves to the regal Hyderabadi cuisine. The Buffet has been priced at Rs. 1591 + 18% GST for adults and Rs. 800 + 18% GST for children between the age 5 to 12 years. And the festival is on Till 26th November. So if you love Hyderabadi food you really can’t miss this festival. 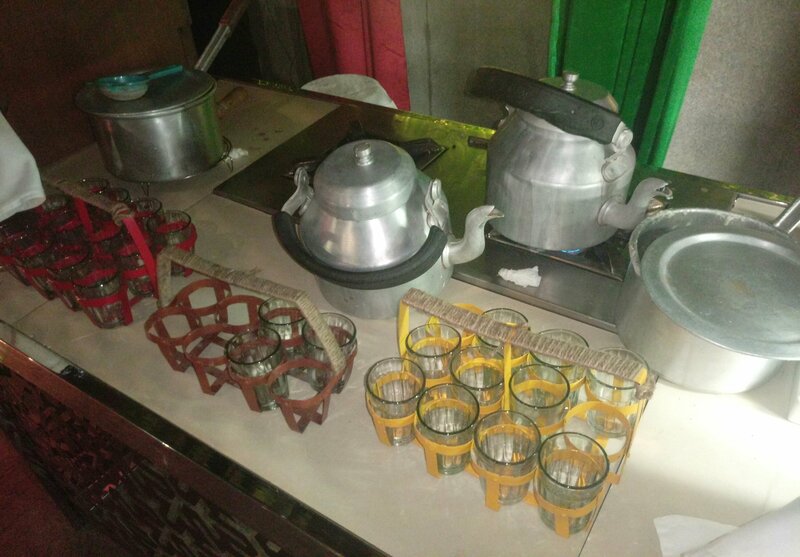 So indulge in some Hyderabadi food right in NCR today.